This option has been created for drivers in Ontario that drive less than 9,000 kms per year (anyone that drives over 9,000 kms per year would not save any money with this program, as the premiums would be comparable to a standard car insurance plan). With the program, drivers monitor how much they drive, and then they pay insurance premiums based on this. Premiums are paid in 1,000 km increments, with a base rate charged upon sign-up. A device is installed free of charge in the car to make this monitoring easy. The device links up to either a mobile app or a web portal where the number of kilometers driven at what time can be accessed. There will be notifications when you’re getting close to 1,000 km and when you have gone over the increment. Note that this program is different from Plug and Save, which is a telematics device that records driving habits such as speed and braking patterns. Learn more about this money saving option here. There is also no discount offered for sign-up, as many insurance providers offer for Plug and Save. This type of usage based billing allows for people with lifestyles that don’t involve a lot of driving save on their insurance. Great for transit commuters, seniors and anyone else that gets behind the wheel occasionally or just for short hauls. If you have multiple cars in your family, and some are used less often than others, this could also be a good option. 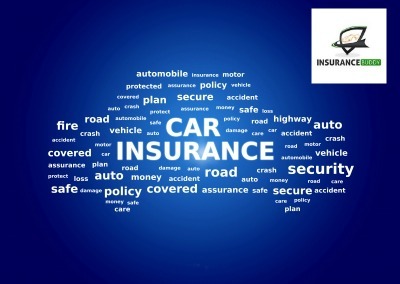 Pay as you go auto insurance is offered by CAA Insurance and they have named the program MyPace. It’s the first of its kind in Canada and good news for drivers in Ontario that are paying some of the highest car insurance premiums in the country. So, if you’re looking for cheap auto insurance in Toronto and Ontario, and you don’t drive that much, pay as you go could be the way to go. Get in touch with our team to discuss this new pay as you go option further and determine whether it’s the right fit for your driving lifestyle.